COLUMBIA, S.C., Jan. 31, 2019 /PRNewswire/ -- Today, Electric Guard Dog, LLC, the #1 Theft Deterrent Service, announced that Commissioner Bill Bratton, one of the most highly decorated and well-known law enforcement officials in the United States, will join its Board of Directors. Mr. Bratton is currently Senior Managing Director of Teneo Holdings, a global CEO advisory firm, and Executive Chairman of its Teneo Risk Advisory Division. 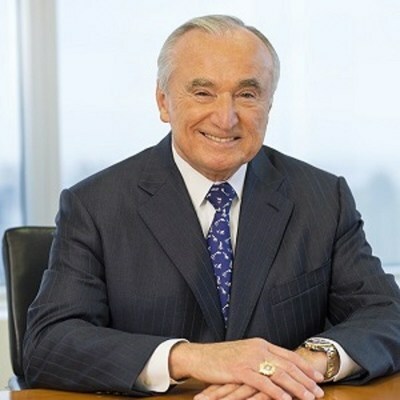 Mr. Bratton also serves as the Vice Chairman for the Secretary of Homeland Security's Advisory Council. Mr. Bratton has over 40 years of experience in law enforcement, including as Chief of Los Angeles Police Department and Commissioner of New York City and Boston Police Departments. His numerous awards include being named one the "Most Influential People in the Security Industry" by Security Magazine and "Public Official of the Year" by Governing Magazine. Bratton was first attracted to Electric Guard Dog flagship's multi-layered electric security fence service due to its unparalleled theft deterrence value. Bratton commented, "I was really taken with Electric Guard Dog. The service stops crime for businesses that store valuable assets and equipment outside, such as trucking, logistics, equipment rental, landscaping, auto salvage, auto recycling, distribution, RV and Boat Dealers, and many more. In my over 40-year career, these were the businesses that got robbed, robbed again the next week, and again two weeks later. Law enforcement simply doesn't have the volume of resources necessary to police every industrial facility in a city to that degree. Businesses need security of their own, and this service works." Bratton continued, "Electric Guard Dog's statistics are astounding by law enforcement measures: 97% of their locations cite no external theft after installation. I couldn't be prouder to be joining their Board and recommending their service, because it's great for protecting lives and property as well as lowering crime rates, which is good for the entire community." Electric Guard Dog's one of a kind, multi-layered electric security system is designed around an electric security fence situated inside a non-electrified fence or existing barrier, so there's no chance of incidental contact. The EGD fence is 10' feet high and comprised of steel strands of wire, and issues a "safe but effective shock" which provides a significant crime deterrent.The system also features additional layers of protection including an alarm which is tied to a monitoring station, cameras, and access control systems. In addition, the entire security system is solar powered to ensure power cannot be cut or lost during a storm. Electric Guard Dog CEO Mark Wesley stated, "We are thrilled to have Bill Bratton join our Board of Directors. He's a luminary in law enforcement and commercial theft prevention. We look forward to his expertise and insights in developing new technologies and practices to combat the many unique security challenges commercial businesses face."